Brooklyn, NY—Let’s start at the end. 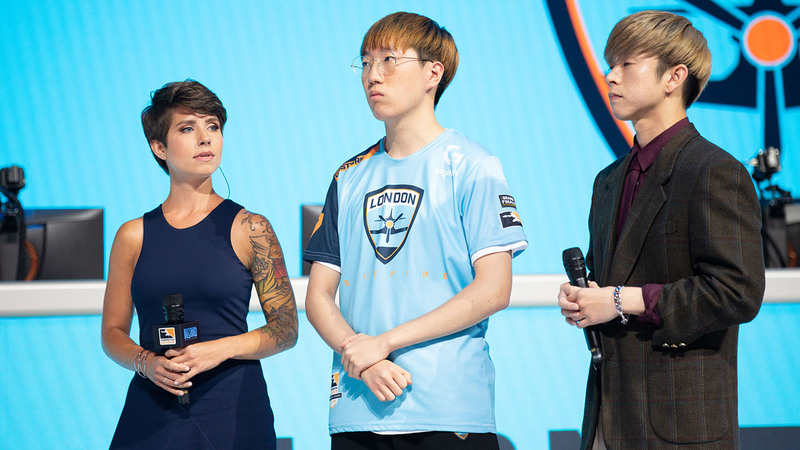 In the last crucial moments of Friday night’s match, London Spitfire DPS Jun-Young “Profit” Park hid behind a corner on the upper level of Volskaya Industries Point B, his signature Tracer ready to pounce on a vulnerable target. When the time came, he blinked forward, and his aim was true. Down went Mercy, and without the healer, the rest of the Fusion were helpless. Profit’s rampage continued: down went Tracer, down went Roadhog, then Orisa, and finally, D.Va. Moments like that are the glittering jewels sewn into the fabric of a championship run, and the Spitfire are one step closer to that coveted inaugural season title after their 3-1 win. The fact that it took place in front of nearly 10,000 fans in a packed Barclays Center, who cheered and gasped and yelled for every jaw-dropping play, every display of skill and nerve and pluck—well, that made it even better. The Fusion, a terrifying team when they’re firing on all cylinders, will need to regroup quickly for tomorrow’s deciding match(es). 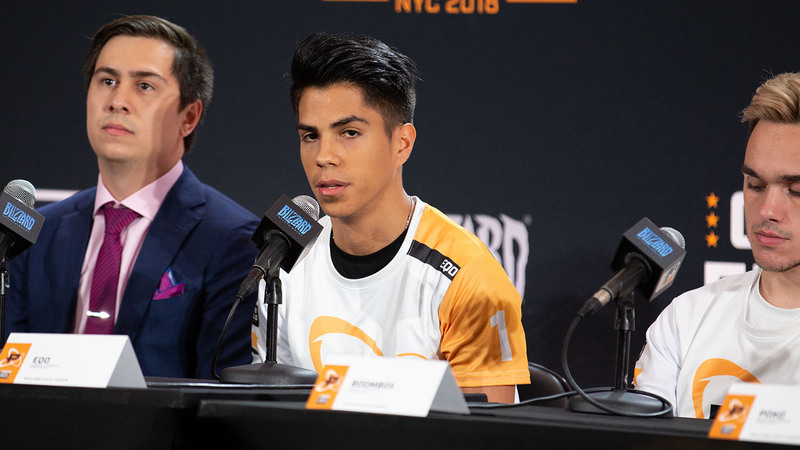 They can take some solace in their strong defensive hold on Dorado, the first map of the night, when they stymied London for nearly five minutes on Point C, a triumph that should have given them momentum heading into control. Instead, London regrouped and easily won Oasis, a map that is finally living up to its name and providing relief after a dry regular season. 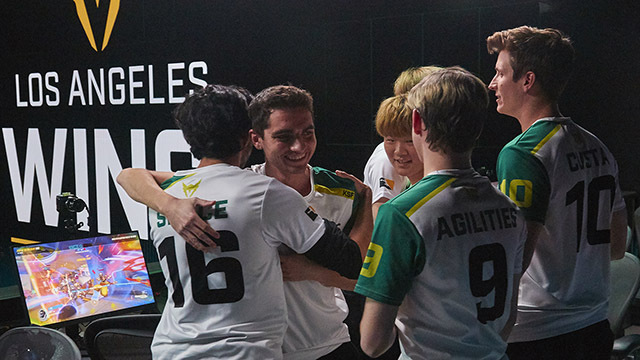 Philadelphia had a chance to return the favor after halftime on Eichenwalde, where they’ve excelled lately. 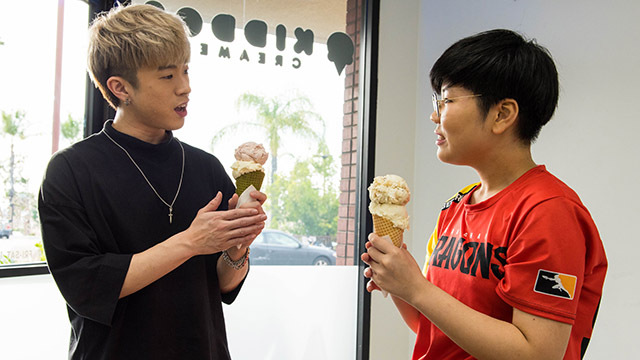 But the Spitfire stopped the Fusion payload in its tracks with an aggressive defensive setup and coordinated tank play from Fury and Jae-Hui “Gesture” Hong that opened up sightlines for London’s DPS duo. 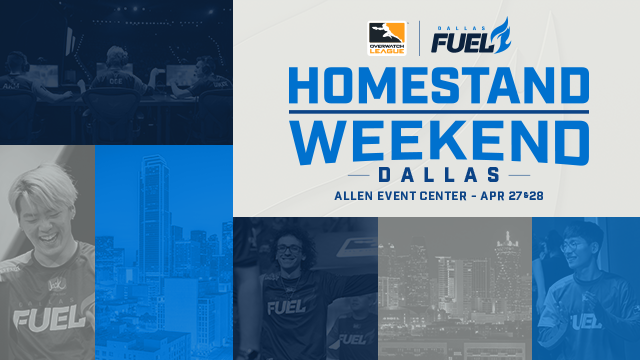 If they are to turn this series around on Saturday, the Fusion must contend with the Spitfire’s strong tank play while correcting the mistakes that plagued them throughout their first match, whether it was not playing around key heroes well enough on Eichenwalde or failing to recognize where a change in team composition was necessary on Oasis. On the other side, the Spitfire just want to stay the course, although they say the pressure is now on them to finish what they started. It’ll be hard to surpass the top-tier Overwatch they showed on Friday. 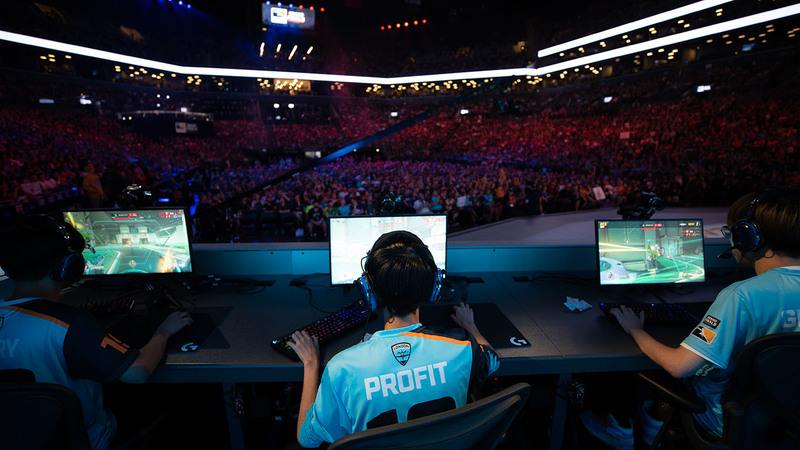 Profit’s match-clinching heroics on Tracer were certainly a defining play, but it was preceded by dozens of clutch moments, with every member of the team deserving of a personal highlight reel. Here is Jong-Seok “Nus” pulling off a crucial Resurrection on Eichenwalde to continue the stall. There, Fury eating an enemy Graviton Surge to swing the tide of a team fight on Oasis. Cut to Bdosin’s Tracer flankon Eichenwalde to take out the enemy Widowmaker, and then to Profit’s emergency turnon Mei to stop Philadelphia’s attempted snowball. The Grand Finals are the ultimate test for the two teams involved—who has what it takes to become champions? Who is worthy of having their names etched in esports history? 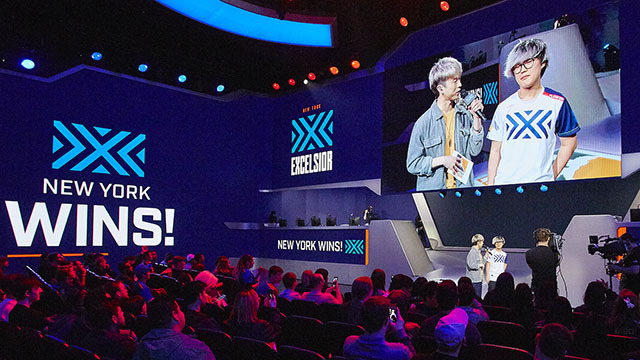 At the same time, it’s also a celebration of how far the Overwatch League has come, from its initial conceptualization years ago, through its commencement this past January, to this moment right here, in front of an insatiable Barclays Center crowd and broadcast to an international audience via Twitch and ESPN. 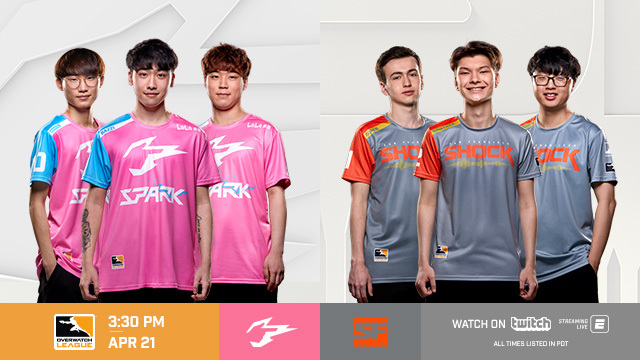 Tomorrow the Fusion and Spitfire will put it all on the line once again, to make their dreams a reality. But no matter which team is crowned champions, it’ll only be the beginning. 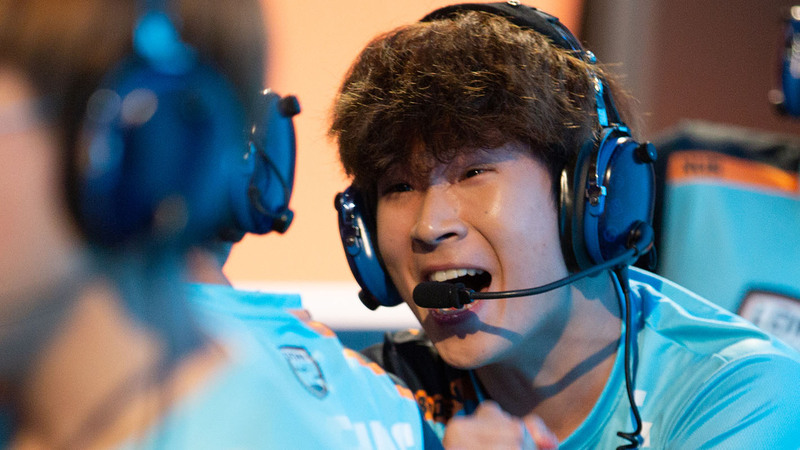 Catch the thrilling conclusion to the Overwatch League Grand Finals today beginning at 1 p.m. PDT (4 p.m. EDT). 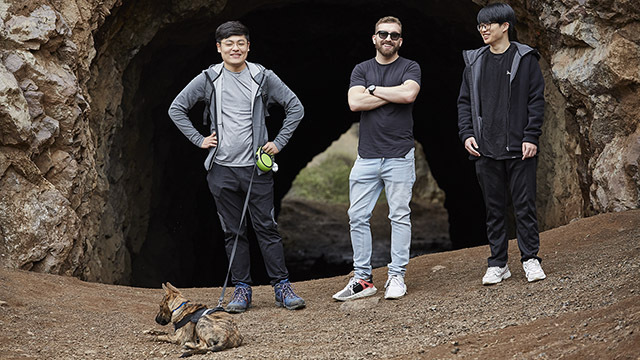 The deciding matches will be streamed live on Twitch, OverwatchLeague.com, Overwatch League app, MLG.com, and the MLG app. Matches will also be broadcast live on ESPN3 and Disney XD. ESPN2 will re-air the Grand Finals on Saturday at 6 p.m. PDT, and ABC and ESPN3 will air a highlight show on Sunday at noon PDT.